Turtle Doves, a Shrewsbury-based producer of 100% cashmere clothes and accessories, created entirely from recycled post-consumer waste, will open the doors of their studio to teach the public how to breathe new life into their old clothes – and in turn challenge our acceptance of disposable fast-fashion. The event is part of Fashion Revolution’s series of Fashion Open Studio events taking place across the country, and the world, in honour of Fashion Revolution Week. Fashion Revolution Week runs from Monday 22nd to Sunday 28h April and falls on the anniversary of the Rana Plaza factory collapse, which killed 1,138 people and injured many more on 24 April 2013. Kate Holbrook, founder of Turtle Doves and Shrewsbury resident, says: “Fashion Revolution is an incredible movement born out of a terrible tragedy. We proudly support the working conditions and environmental standards Fashion Revolution are championing and are thrilled to be hosting our own Fashion Open Studio in support. There is a definite desire for positive environmental change in Shrewsbury amongst businesses and individuals and we hope this event will help empower our community with some new skills they can use to help live more sustainably – as well as being great fun”. 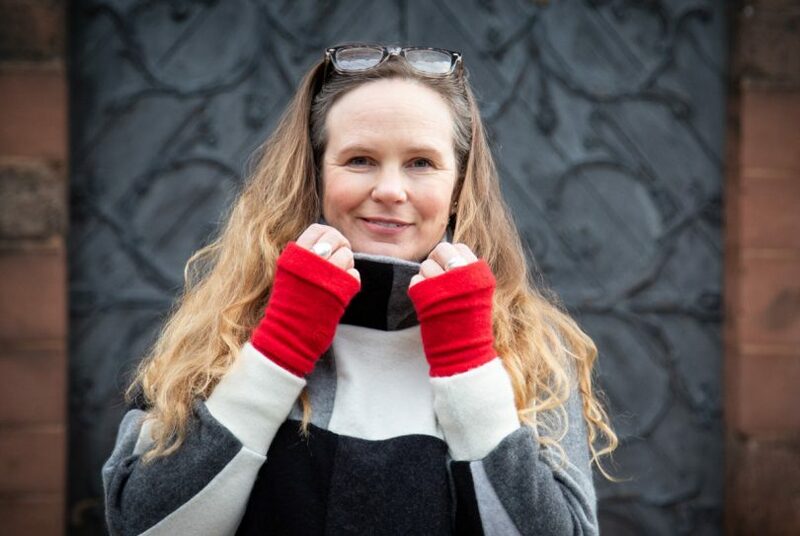 During the practical workshop attendees will learn how to repair and upcycle knitwear through invisible and decorative mending, and everyone will leave with a set of Turtle Doves gloves – and a skill they can use forever. The workshop will be followed by talks and a panel discussion with other Shrewsbury-based eco trailblazers, Daisy Snow from Ian Snow, the Fairtrade online retailer, and Ali Thomas, Manager of Zero Waste Events and Co-Founder of The Shrewsbury Cup, a Community Interest Company (CIC) that aims to eliminate single-use cups in Shrewsbury. Turtle Doves Fashion Open Studio will take place at 11am – 1pm on Saturday 27 April 2019 at Turtle Doves Studio on Lancaster Road in Shrewsbury. To join Turtle Doves Fashion OPen Studio get your free ticket via www.eventbrite.com/e/fashion-open-studio-turtle-doves-sustainable-fashion-workshop-tickets-59227422816.